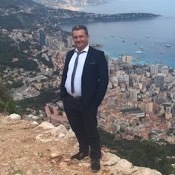 Traveler Review for Private Tour in Monte Carlo, Monaco by Tour Guide Pierre M.
Wonderful tour with Pierre. He took us to spectacular places that other tours would miss. Especially enjoyed the cliff side overview of Monaco.